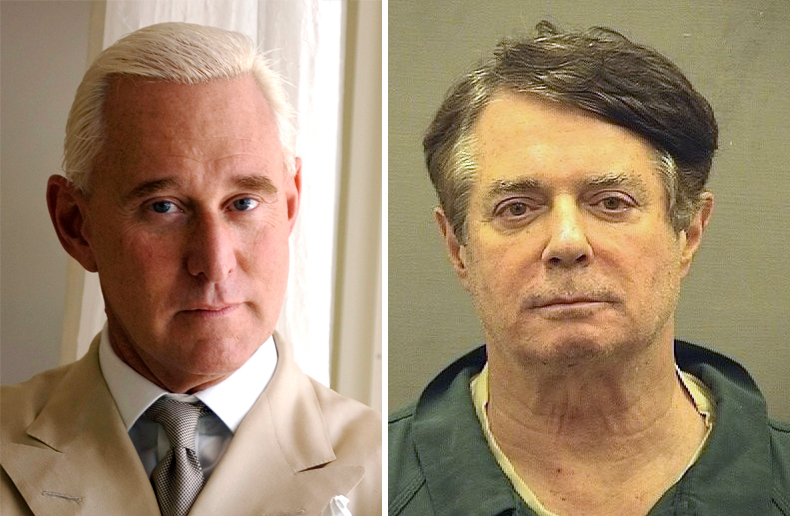 Norwalk native Roger Stone and New Britain native Paul Manafort share a love of fine clothes, both cut their teeth in Connecticut politics and together broke with conventional norms as GOP consultants. 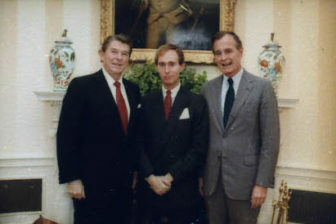 Kelly said he was intrigued to join one of the first bipartisan lobbying firms and one with so many international clients. “So I said ‘sure, that would be great’” Kelly said. Its embarrassing that these traitor GOP scumbags are from Norwalk and New Britain. Perhaps the local Republican Town Committees might find an appropriate way to honor them and also help pay their legal fees, perhaps naming rights for port-o-potties? You could rent your very own monogrammed “Man-a-Fart” or “Drop-a-Stone” or “Art-of-the-Dump” for your next fabulous party, supplied with glamorous 4-ply embossed Trump toilet paper and gold-plated toilet seats so you too can feel like you’re crapping in Trump Tower after meeting with the Russians to help steal a presidential election. Get ’em while they’re hot! I digress. These guys should rot in jail forever for having committed treason, as they were working for a traitor of a president named Trump who is now giving Russia everything they want, including but not limited to the Syria withdrawal, lifting of sanctions, and abandoning treaties with Iran and for nuclear arms control. These are all things we can be assured Putin told Trump he wanted at meetings that Trump wouldn’t let any American witnesses attend, while Russia had their own witnesses present to record everything that was said to hold over Trumps head forever, breaking all international security protocol that has our intelligence community and every citizen who cares about our future freaking out. Trump, the famous ‘art of the deal” guy, was so incompetent in dealing with Putin that the Russians can now claim he said whatever they want in those multiple meetings, and there is no way Trump can deny it as he made sure we had no recording or transcript of what was actually said. Trump gave away all of his bargaining power in those meetings, and in effect all of America’s bargaining power with one of our most dangerous enemies. He can now be blackmailed by the Russians, as some suspect he already has been. All this while Fox pushes 24/7 fear of “the caravan” full of terrorists and rapists as a big distraction rom the really bad news surrounding Trump and his cronies. These dictator wannabes certainly know how to dupe the public with racist propaganda, just like Hitler did. AndTrump’s got his very own Himmler in the form of Rupert Murdoch. Trump, Manafort, Stone, and the rest of the corrupt GOP gang are the scum of the earth, yet the GOP are still defending them and Fox treats them like conservative heroes. Now we find out this week that the scumbags at the NRA, who have spent decades demonizing victims of gun violence including high school students and parents of slain first-graders as the Fox and Friends creeps cheered them on, are also in on this treason, working with Russian spies to help steal the 2016 election. Please fact check me as I cant believe this myself, but It actually is true. This week the NRA has been outed as a front for Russian interference in our government. Let that sink in for a moment. Take a few minutes actually. 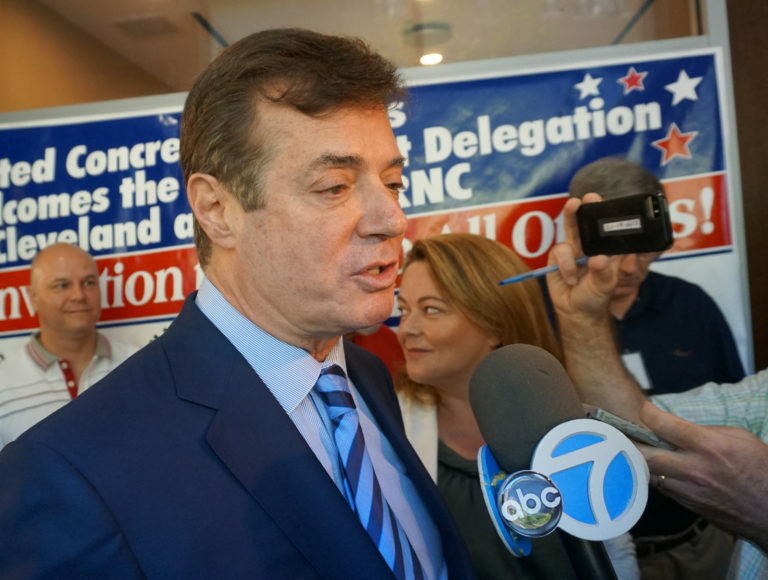 Manafort was also a traitor to the good people of Ukraine (where my ancestors are from), working for a corrupt Russian puppet president who was run out of the country after stealing billions from the people, and who helped pave the way for the Russian invasion of Ukraine and the Crimea. This was BEFORE Trump, also a Russian puppet in the pocket of Putin, picked Manafort to be his campaign manager. Trump claimed he “only hires the best people, the very best people.” Of course they are, and the very best at corruption and treason. And yet despite all the evidence, most Republicans who are polled continue to claim the Russian scandal is “fake news” pushed by mainstream journalists who Trump called “the enemy of the people”, as GOP politicians continue their support for these traitors by actively stalling or blocking investigations, all the while pretending Hillary’s emails are still the main threat to our democracy. Excuse me while I go copyright my port-o-potty idea, before Ivanka gets her manicured little hands on it to license it for profit. Meanwhile Gov Northam does swell job representing the Democratic party. The original racist party of American politics. Where’s Mike M when there is a Dem “Scumbag” to comment on?